A few nights ago I made another sale on Etsy. 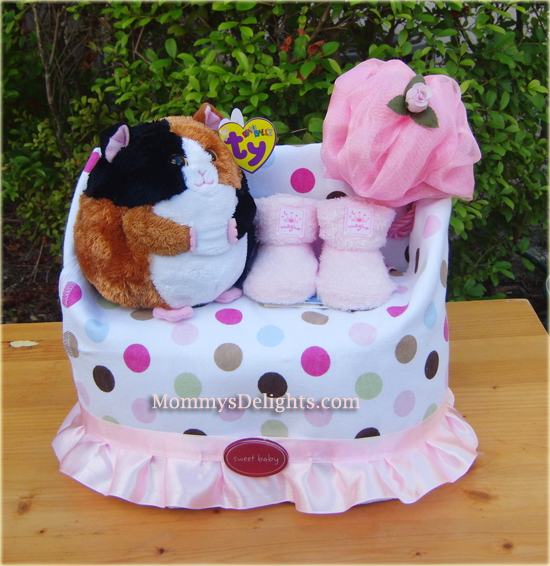 I get such a thrill from seeing one of my diaper cakes loved enough to be bought. My desire to sell them has become only a perk I get of happiness. Will I retire from this? Chances are high that I wont but the near satisfaction of selling them and having the excuse to make another one to take its place is enough to continue. With that smile she always put on my face I said yes baby I am going to do the popcorn. Popcorn was the stira foams I gathered in the garage to ship out my diaper cakes. She enjoys helping me put the popcorn into the boxes to every diaper cake I ship. So every cake has a story, this particular one was going to Boston. So she asks me, to tell her the story over and over on where the diapie cake was going. I would say, ” baby, the diaper cake is going to be put in this box and I will take it to the mail man tomorrow, they will put it in a plane and it will fly all the way up to Boston. Then another mail man will take it in a truck to the house of where the new baby will be. ” She continued to ask me to tell her the story over and over. My plushes and diaper cakes are a hobby, but having my baby girl enjoy them with me, makes them so memorable. As I turn down the lights in the living room and I we leave the box all packed and ready to be shipped , I watch her walk up the stairs, the cacho in her hand. 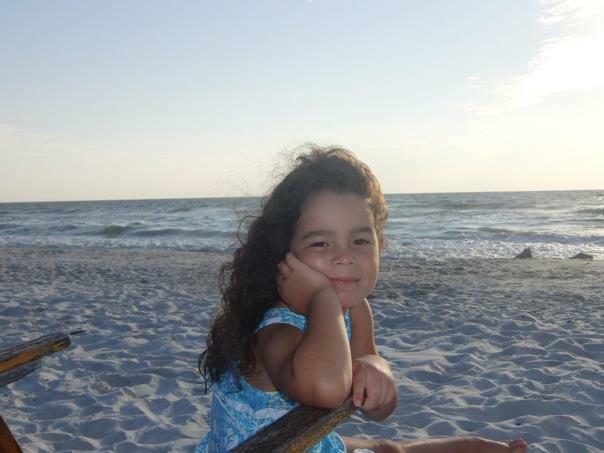 I thank god to have given me my greatest plush that is not of plush but of heart and soul, my baby girl. A few weeks ago I was in BJ’s doing some shopping and my little girl was wondering the isles with me. Asking questions on everything like any five year old would do. I always drive-by the toy isles since I am a kid at heart. Well today on Mother’s Day I got a pillow pet and the piggy no less. My Husband went in to BJs for some shopping and went with our daughter. He was looking for a card to give me today. 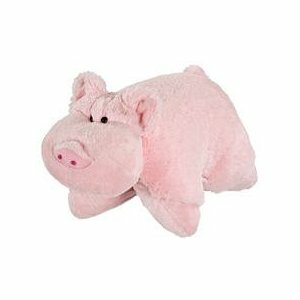 He tells me that as they went by the toy isle she ran to the pillow pet box and said, “Daddy Mommy would love the piggy pillow pet.” He asked her, “You really think so baby? ” She replied, “Yes daddy she was staring at him the other day and said that she was to old to get a pillow pet.” So the pillow pet made it into the shopping cart and into my arms. My baby girl gave me the pillow pet with such an exciting glow today. My husband asked if I liked it, I could only say I LOVE IT!!! As I embraced my baby girl and said thank you, she whispered, “its ok mommy to have a pillow pet. I don’t think the piggy thinks your old”. The little things that make life worth living!!!! Remembering back to my young years, I was a sucker for the cute stuffed animals. My room was filled with plush animals even as an adolescent. With the years passing me I use to think back on those days and remember how I would stream a yarn wire across my bedroom ceiling and have all my stuffed animals hang from there. For a 16 year old that was quite a baby room I might say. But now in my mid 30s I was convinced that evidence of my youth was only that of a memory. My daughter the other day brought tears to my eyes when she said something that just melted my heart into pieces. I have not mentioned it in this blog but anyone that knows me and follows my other blogs knows that I create baby shower gift arrangements. If you took a peek inside our family office at home, you would see a mini factory of arts and crafts of which its sole purpose is to make baby gifts. And on the side I have a shelf and box full of the cutest plushed animals you can find in the market today. My daughter walks in the other day while I am getting a few centerpieces ready for a baby shower and said, “Mommy I love all you fluffy animals. When I grow up I want to make pretty things like you that way I can have stuffed animals in my room forever.” It dawned on me that moment that I had never let go of my passion for the plushes. I just never realized that my passion to building beautiful baby gifts was my outlet to letting me be a kid every moment I spent make a beautiful piece. 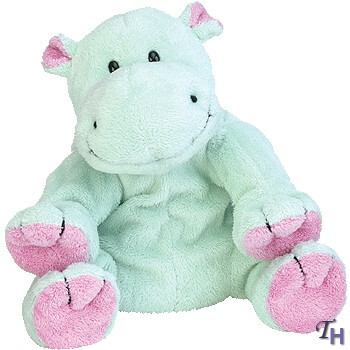 The very week I found out I was pregnant back in February, 2005 I bought Tubby of the TY Pluffies collection. He sat on my desk at work through my pregnancy. Everytime I would look at him it gave me a sense of peace and serenity while I await my baby girl. My little girl who is now 2.5 years old has this great ability to melt my heart with her actions. But more then anything is her unlimited amount of affection ready to show at every moment. With her two tiny hands she grabs my face and holds me close to tell me, “Mommy I luv yuooo”. She ends her great task of melting me by giving me a tender kiss on my cheek or a delicate touch on my lips. The incredible thing about life is that that very child that melts you at such a tender age will grow faster then a blink of an eye. Will the memories on her tender kisses hold the day she comes home at the age of 15 demanding something I cant give her? Will that same child that makes me feel as though she has nothing else in life breaking our mother-daughter bond, break my heart the day she says she hates me and wishes I was not around. 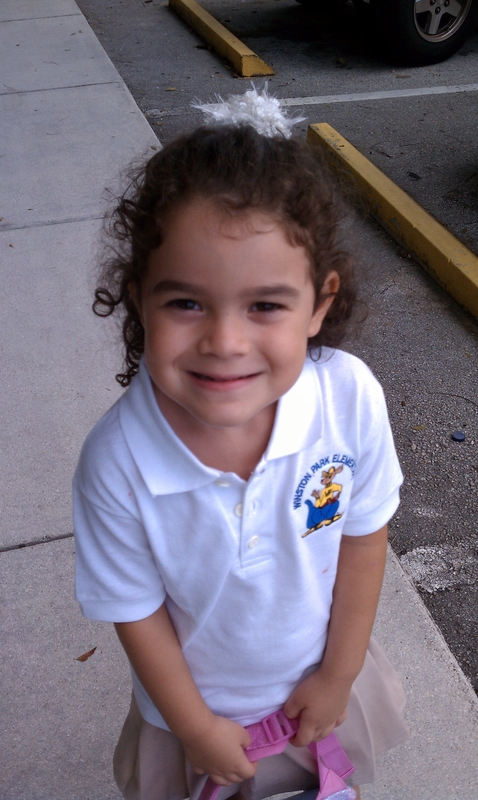 Would that cute boy at school be the center of her world? Would those popular girls be the people she now looks up to? What a thought to think my precious baby will most likely drive me out of her life because she will consider me too old fashion and only a detriment in her life. But the one thing I try to remind myself everyday is that my biggest job in life is to create a strong bond between her and I. Build a strong moral foundation to last her through those tuff years.The foundation you give your baby in the first 5 years of their lives will be the very thing that will bring them back to you. Adolescent years are tuff and no matter how great of a parent you are your children will put you to the test. For now I will teach her all the things I can and remind her that no matter how old I get or how un cool I may become I will always be her best friend who loves her and will never stop loving her. And when she is 30 if that foundation was well taught, the rugged road she will have face in her adolescent years will smooth out and she will come home. She will then say, “Mom, I really do love you!” and that will remind me of these moments, when she can barely pronounce those worlds. I know this because, now, at 34, the only best friend I know from all my years is my mother. I love you mom and thank you for your great work in my early years. I can only hope to be half the mommy you were. A few years ago I met a friend at work that because of circumstances of life we became close. We happened to get pregnant at the same time and we encountered all the ups and down of pregnancy together. Around the last trimester of our pregnancy we would take walks around the office building for obvious reason understood by every pregnant women. On one of those walks we came across a penny. She managed to slowly bend down as any 7 month pregnant women would and picked it up and close her eyes for a few brief moments. I didn’t say anything, I figured it symbolized something to her. A few days later, again we came across a penny and she did the exact same thing. So I had to ask her, ” Why do you pick up pennies and hold them so dear?” She smiled and said, “I was once told that for every penny that is put in your path its a reminder that you must trust god. 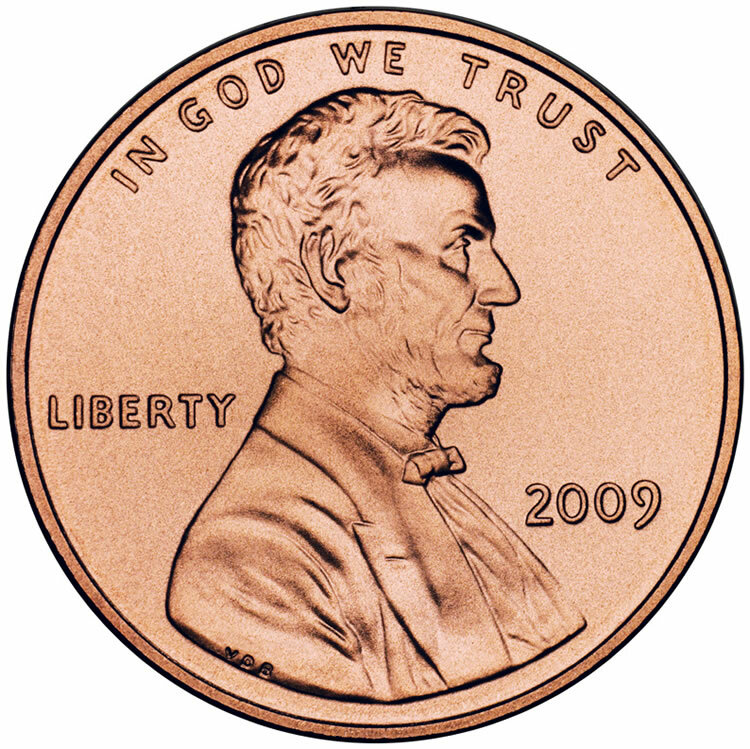 Every penny has it clearly written ‘In God We Trust’. So what I do is think of anything going on in my life that is of uncertainty and put it in his hands. Then I grab the penny and keep it to remind me that he granted me the opportunity to know he is there.”I considered it such a sweet story. I thought of it for a moment and didnt think of it again for a few weeks. About a month later, I had an ultra sound where they mentioned that my baby was smaller then expected. You can imagine the awful thoughts running through my head. I thought the worst and feared the worst. My husband and I left the doctors office in complete silence. As we left our car to walk into a restaurant, the wind blew some type of paper to my feet. I bent down to see what it was and as I grabbed it I noticed it was a twenty dollar bill. I turned it around to make sure it was what I was thinking and the first thing that I noticed was the words in big “In god we Trust”. I thought for a moment on what was most troubling me and felt a sense of peace. My baby girl was a perfect healthy girl. I hold this memory to be one of the ways he revealed himself to me. Why did the story of my friend mean so much and why right before that happened. So now every penny I see is a chance for me to know he is there.